As I've mentioned before we I'm in the process of changing the whole color scheme in my living room/dining room area. I want light, airy, bright and fresh! You can read about my plans and what I see for these rooms here. I ordered the Buchanan chairs from PB and they will be here this weekend! Can you say, "SUPER EXCITED!" I FINALLY got rid of those hideous burgundy/gold chairs that were as I expressed to my husband, "Hurting my eyes!" I've made small changes that you can read about here, but the biggest change is going to be painting the walls. The color that I want and really the only color I've imagined is GRAY. Not gray like prison walls. But a pale, soft, PERFECT gray color. Also, I do not want a gray that has any blue undertones to it. So on to the gray candidates! I love the warm undertones in Revere Pewter. 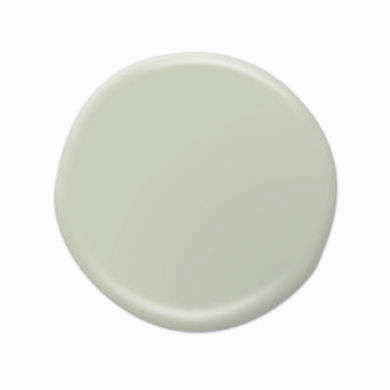 It's a classic shade, with a transitional feel. And since I already have it in my master bedroom/bathroom it will flow nicely. This color is part of Candice Olsen designer picks collection. It's described as a very approachable subtle gray color. Described as a medium gray with a hint of green. Not too cool, not too warm. Sandstone Cliff is the perfect "Greige" which is a nice balance of gray and beige. So as you can see I have my work cut out for me. Giving the fact that the painter is coming this weekend to start! Yikes! And yes we are having it painted, by a guy who does outstanding work!